A centrifuge is a type of equipment often used in food, pharmaceutical and chemical processing to separate solids from liquids, de-watering, or clarifying. Centrifuge bags are used to clarify liquids which contain a high amount of solids, and to remove solids from liquids. 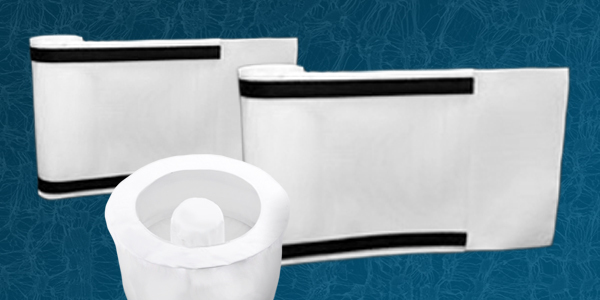 Filter Holdings fabricates a wide range of premium centrifuge bags and liners with the ability to manufacture custom centrifuge bags and liners in many shapes and sizes, including for custom specifications and special applications. Fabric options for centrifuge bags and liners include quality polypropylene or polyester for ambient processing, and PPS or Teflon for high temperature applications. These fabrics are available in a variety of weights, construction and finishes, including our Unipore expanded PTFE surface treatment which allows retention at sub-micron levels. Our centrifuge liners are available in dual-lock construction that eliminates the need for steel expansion rings to secure the liner to the body. This innovative design by Filter Holdings eliminates the time-consuming process of ring installation - providing tremendous savings in labor costs and equipment turn-around. Our centrifuge bags and liners for liquid filtration are laser marked and cut, with dimensions digitally stored for consistently accurate reproduction on future orders. With options for customization, Filter Holdings is your best source for industrial filtration centrifuge bags and liners.